The program will feature presentations by 15 scholars from across the world. In the weeks leading up to the conference, we will be presenting the biographies and abstracts of each of the speakers. This week, we would like to present three of our speakers during the two-day academic conference: Dr. Ruben Safrastyan, Dr. Khatchig Mouradian, and Dr. Ara Sanjian. Dr. Ruben Safrastyan is the Director of the Institute of Oriental Studies at the Armenian National Academy of Sciences and the Chair of World History at the Armenian State Pedagogical University. His area of specialization includes Middle Eastern and genocide studies. He is the founding editor of the Armenian academic periodicals: “The Turkic and Ottoman Studies” and “Contemporary Eurasia.” Dr. Safrastyan also serves on the editorial board of numerous journals in the United states, Russia, Armenia, and Canada.) He has been a recipient of the Humboldt (Germany), Fulbright (US), and International Policy (Hungary) senior fellowships. During the conference, Dr. Safrastyan will analyze the geopolitical challenges of the first Republic of Armenia during 1918-1920. He will examine the complex geopolitical environment in which the Republic of Armenia emerged and survived for two years. Safrastyan will shed light on the unfavorable dynamics of the changing geopolitical situations, which led to the isolation of the Republic of Armenia and its eventual decline. Dr. Khatchig Mouradian is a Lecturer in Middle Eastern, South Asian, and African Studies at Columbia University in the City of New York. Mouradian is the author of articles on genocide, mass violence, and unarmed resistance, the co-editor of a forthcoming book in late Ottoman history, and the editor of the peer-reviewed journal The Armenian Review. He also serves as Adjunct Professor at Stockton University in New Jersey. Mouradian holds a Ph.D. in History from the Strassler Center for Holocaust and Genocide Studies at Clark University and a graduate certificate in Conflict Resolution from UMass Boston. Dr. Mouradian will present on an essay titled, “Becoming Aram: The Life and Legacy of a Revolutionary Statesman.” This essay focuses on the tumultuous journey of the revolutionary turned statesman Aram Manougian, whose struggle against the oppressors of his own people spanned two declining empires, and who is also remembered as the founder the First Armenian Republic (1918-1920). Through a wealth of documents from the archives of the Armenian Revolutionary Federation, the Ottoman Empire and the First Armenian Republic, as well as published and unpublished memoirs and accounts, Mouradian will trace the 40-year life and century-long legacy of Aram Manougian. Dr. Ara Sanjian is the Associate Professor of History and the Director of the Armenian Research Center at the University of Michigan-Dearborn. He received his PhD from the School of Oriental and African Studies, the University of London in 1996. He has served as the Chairman of the Department of Armenian Studies, History and Political Science at Haigazian University in Beirut. His research interests focus on the post-World War I history of Armenia, Turkey and the Arab states of Western Asia. He is the author of Turkey and Her Arab Neighbors, 1953-1958: A Study in the Origins and Failure of the Baghdad Pact, as well as two monographs and a number of scholarly articles and book chapters, published in English, Armenian, Russian and French. 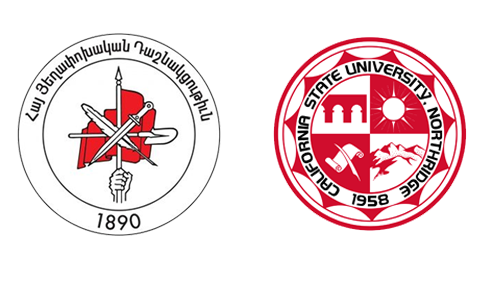 Dr. Ara Sanjian will be presenting a lecture titled “The Armenian People’s Party: The Republic’s Liberal Opposition.” He will provide a brief overview of the founding of the Armenian People’s Party in March-April of 1917 and its activities until early 1921 – during the periods when Transcaucasia was governed successively by the Special Transcaucasian Committee (Ozakom), the Transcaucasian Commissariat, and the Transcaucasian Seim. Dr. Sanjian will also covers the party’s programmatic and ideological evolution during the same period, as well as the fortunes of its most prominent members after Communist one-party rule was imposed on Transcaucasia.